Bay Area creativity and our collective Hamilton craze were fiercely represented in a Post-It note artist’s work on BART. 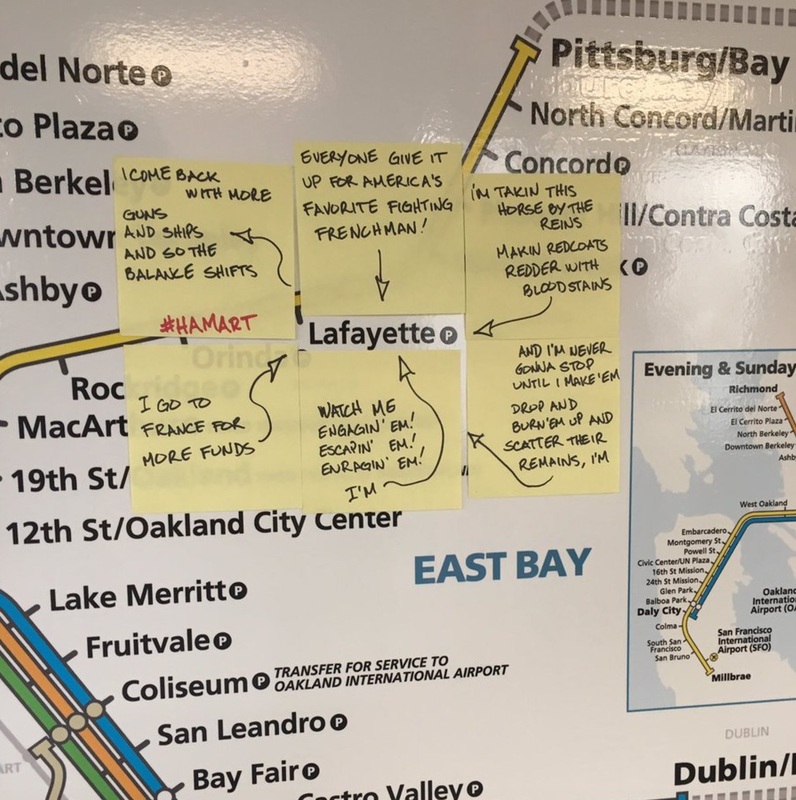 As seen by @andylie1 on Twitter, someone brought brilliant cultural cachet to the fine station and city of Lafayette with some well-placed Post-It notes on this BART map. For those of you not (yet) in the Hamilton crew, Marquis de Lafayette is a character in the musical portrayed by Daveed Diggs. Here’s the video to said lyrics, and consider this your Broadway earworm of the day. 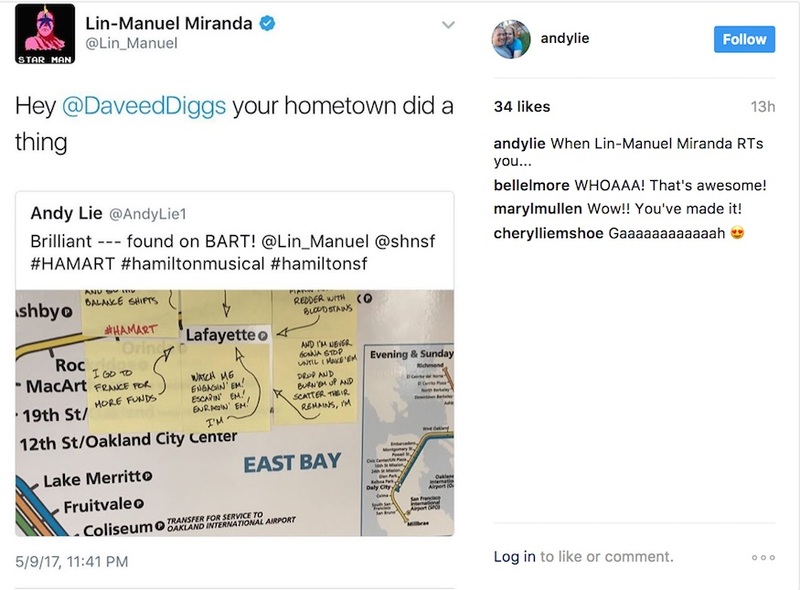 As if this is not cool enough: Hamilton creator Lin-Manuel Miranda full-on quoted the tweet for his million-plus following and gave it a big ole double tap regram on Insta. Dear Post-It artist, I think your whole life has been made. Thank you to Muni Diaries reader Deirdre O. for spotting this gem!